With ridged, smooth, and Bali beads all in sterling silver, this simple, stylish medical ID bracelet is an enduring Lauren’s Hope favorite. 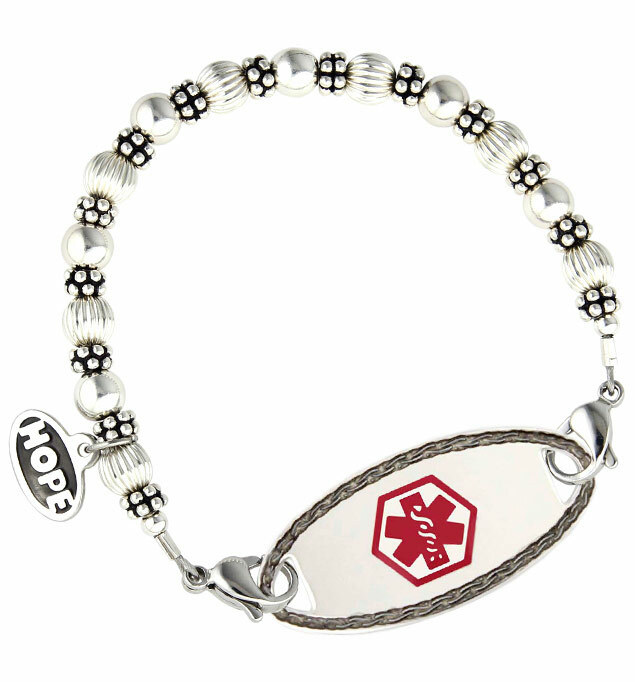 Topped off with our signature, two-sided, “Hope” charm, this elegant medical alert bracelet pairs perfectly with any custom-engraved Lauren’s Hope medical ID tag. This bracelet is suitable for everyday use including hand washing and bathing.